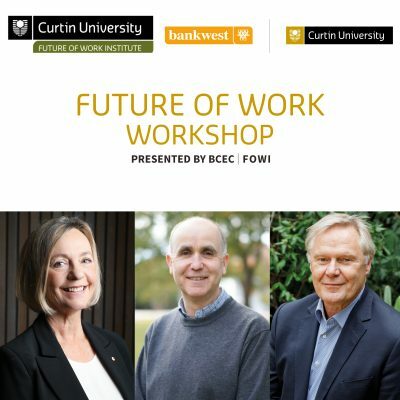 The Bankwest Curtin Economics Centre invites you to the launch of the next report in the Focus on the States series which will examine the future of work in Australia. The organisation of work is changing. 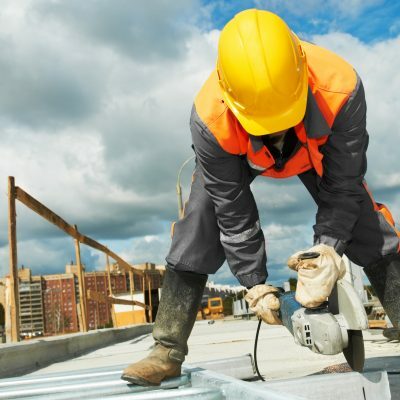 With alternative forms of employment, freelancing and the gig economy on the rise, the traditional notion of holding down a steady job or two for an entire career is receding fast. 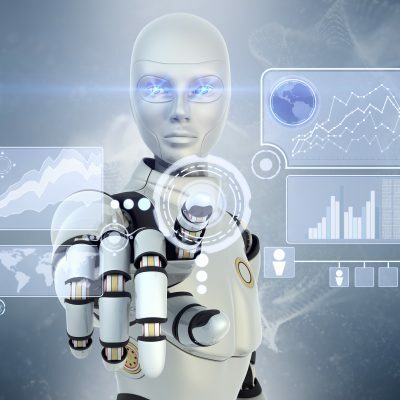 And as new technologies and automation take over some of the tasks previously performed by human labour, and industries move offshore, the service sector continues to forge ahead as the major player in the future of work. 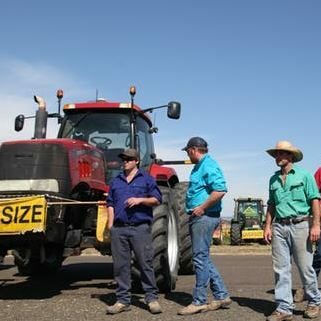 But are we placing too much emphasis on technology and not enough on the quality of jobs that we should strive to create in the workplaces of the future? 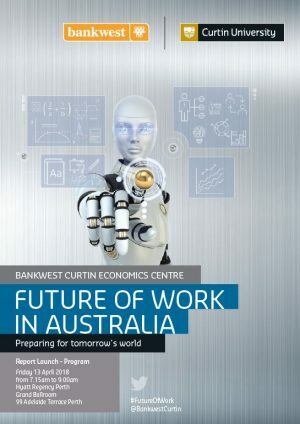 Is now the time for workers to return to education and begin re-skilling? What kinds of careers can our children expect and where should they focus their education? 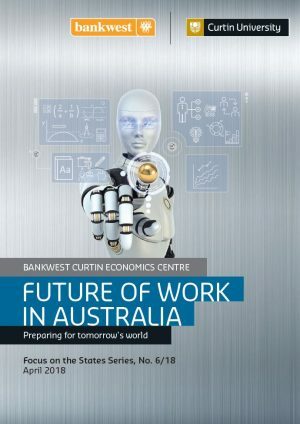 This sixth report in BCEC’s Focus on the States series will examine the way in which the organisation of work is changing – from workforces to workplaces – and the implications of these changes for Australia. 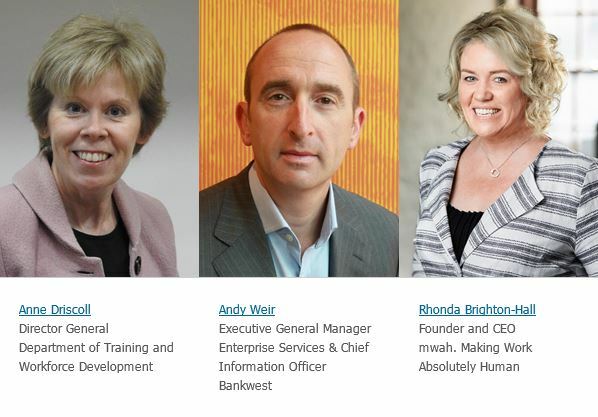 Please join us for breakfast with Anne Driscoll, Director General, Department of Training and Workforce Development, Andy Weir, Executive General Manager Enterprise Services & Chief Information Officer, Bankwest and Rhonda Brighton-Hall, Founder and CEO, mwah. Making Work Absolutely Human.